NASA astronauts Peggy Whitson and Jack Fischer are preparing for an unscheduled spacewalk outside the International Space Station Tuesday, May 23, 2017. 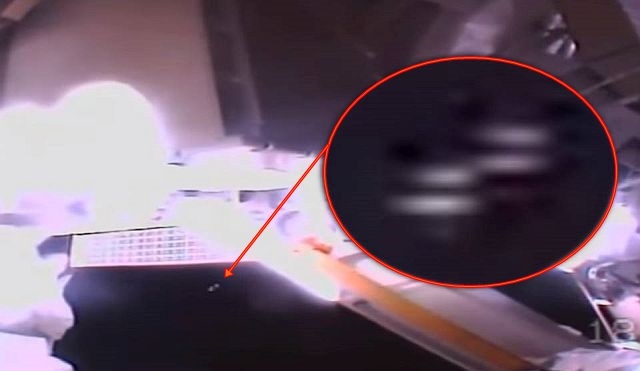 During the spacewalk the live camera recorded not only the astronaut's activities outside the ISS but also two unknown flying objects. Is it just a reflection or the objects may have been UFOs?